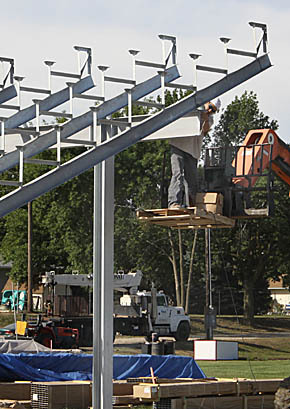 Progress was apparent this week on erection of the new bleachers for the Boone Central football field. Framework was mostly complete when the photo above was taken last Friday, Sept. 13. The first football game on the new field is set for Oct. 4.